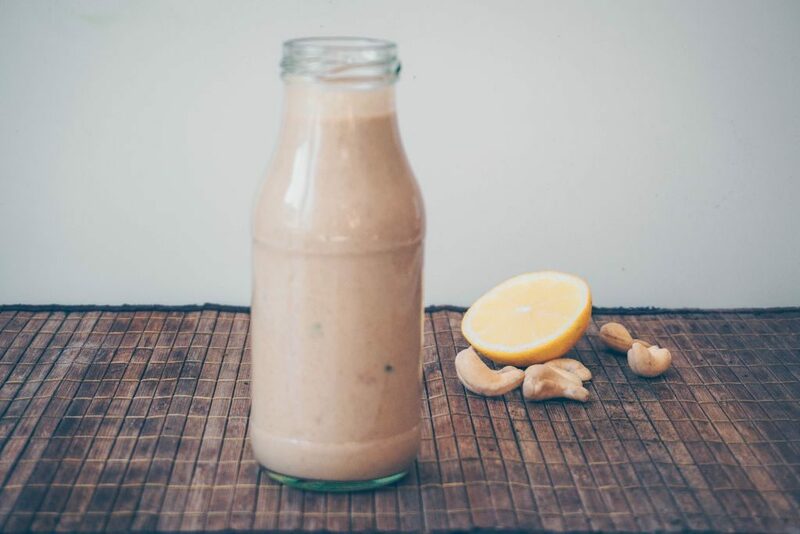 This Creamy Ceasar Cashew Sauce or Dressing is super simple to make and if you prepared the cashews, means you put them in a jar with water to soak them overnight, it takes you only 5 minutes. I actually add this sauce to all my dishes and use it as a “pretty cool and healthy fast food always having in the fridge” sauce. So either I have this Cashew Sauce or my silken tofu mayonnaise premade in my fridge. As using it for a Salad Dressing it finally made some of my veggie denier friends eating salads. 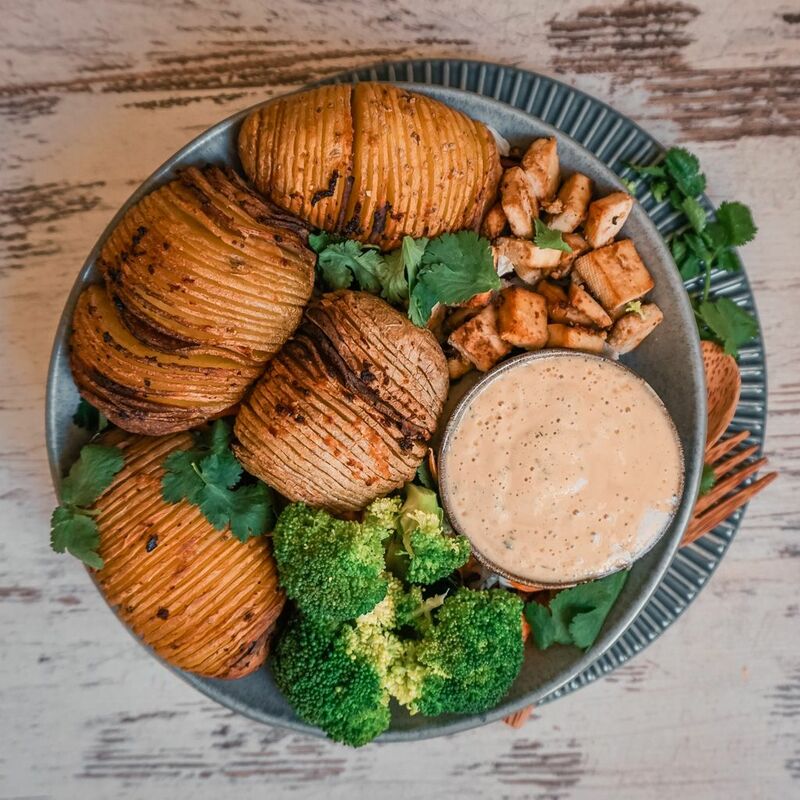 Eating veggies, salad, legumes or grains with this whole food, oil-free, GUILT FREE, Creamy Cashew Caesar Sauce brings my dishes to another level. So if you know anyone who is not a veggie or salad fan yet, feel free to share this recipe <3. If you like some upgrades you can add garlic powder and use lemon juice instead of vinegar. 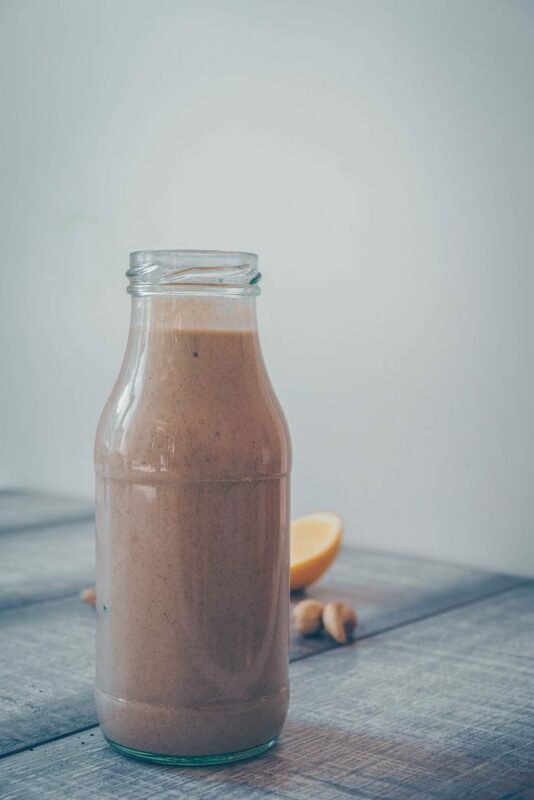 Transfer all ingredients in a blender. Store Dressing in an airproof container as a bottle up to 1 week. Tweak lemon juice, garlic powder, and salt to taste. Since I served the Dressing with spiralized zucchinis, I also added the zucchini leftovers.